Virtuoso (Grade: A+) The Fault in our stars is a beautiful piece of work, and was very hard to put down. It presented cancer in a truthful light, showing Hazel and Augustus not just as vessels for the disease, but as actual people whose cancer didn't rule over them. The tale of love was beautifully interwoven into the story and the pockets of humour were refreshing and sweet. It made me laugh and cry and I felt like the characters were very near to my heart. Definitely would recommend. Raskovnik (Grade: B) I wasn't feeling it at first because the dialogue is kind of wonky (no one actually talks like the kids in this book do) but the last hundred pages or so pick up so much momentum that I wasn't able to put it down. bennettgavrish (Grade: B+) I was prepared to hate everything about this book, but that was simply impossible to do. The romance is too powerful and the emotions are too raw. It's a story that does a beautiful job of illustrating the peaks and valleys of humanity. Unfortunately, John Green's main characters don't speak like real human beings. Too much of the dialogue between Hazel and Gus is perfect poetic babbling. John Green, I know you're a smart, clever man. You don't have to remind me with every flip of the page. tracycarim (Grade: A+) One of my top 5 books. Borrowed it from a friend. Now I want to go out and buy it so I can lend it out!!! 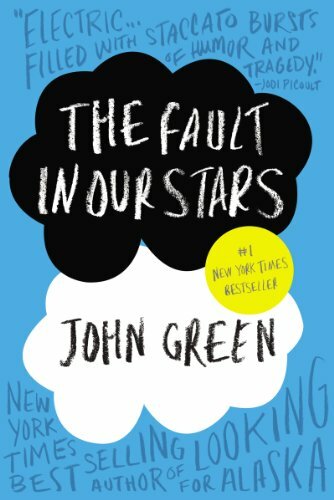 lalareads (Grade: A) The Fault in Our Stars was wonderfully uplifting and heartbreaking. I loved Hazel, and felt as if I knew her from another life. Even if you absolutely hate "cancer books", put those feelings aside and read this. Considered YA, but meant for everyone.